Yes, we all do it – few of us can resist sharing a few scathing words with our best friends or colleagues – according to experts, about 60% of adult conversations are about someone who isn’t there. But now we can blabber without blame, as it seems our fave pastime is beneficial for our mental well-being. 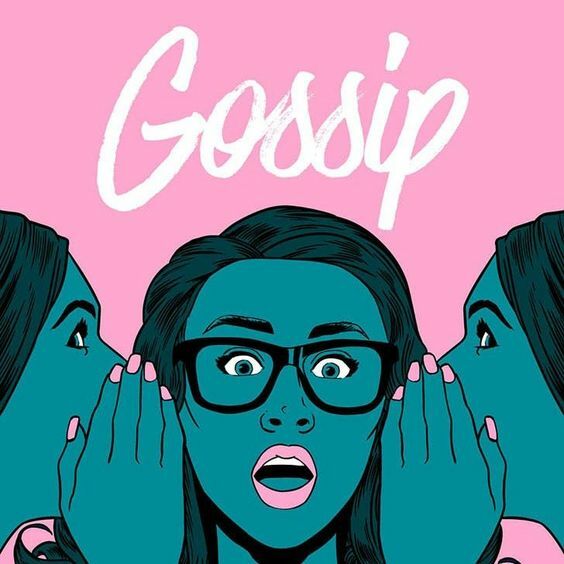 Gossip is one of the easiest ways to connect with another person, as confiding in someone and sharing secrets provide the ultimate binding tool. ‘It’s a way to demonstrate common values and sense of humour, as well as share worries and get support,’ says mental health expert Chloe Ward. ‘And having a mutual dislike creates a stronger bond than sharing similar likes.’ It also helps us build personal relationships. ‘Humans have an innate desire to know about other people’s lives,’ explains Chloe. ‘We’re motivated to engage in gossip in order to bond, entertain ourselves, vent, and maintain social order within a group.’ It builds a sense of belonging. Feel like a weight has been lifted off your shoulders after a good sesh? ‘This is because the frustration that caused you to gossip in the first place has been released,’ explains Chloe. Having a stressful day? Gossiping with someone and venting annoyances – even for just five minutes a day – can help reduce your stress levels. Studies show that this may be due to gossiping causing the levels of oxytocin (the bonding hormone) in your body to increase while decreasing the stress hormone, cortisol. Although it may seem counter-intuitive, gossiping can sometimes help improve your feelings of empathy. ‘It may allow people to understand a difficult personal situation that another may be facing,’ says Chloe. And hearing good stories about others provides motivation for self-improvement. Provide a confidential outlet for someone to vent about whatever is bothering them. It will stop things festering and potentially allow them to come to terms with the problem. When discussing a particular person or relationship, ask your fellow gossipee to listen with the goal of providing opinions, ideas and techniques to help you approach the situation differently. When you find that your chatter constantly dissolves into a negative spiral of backstabbing and bitchiness, make a point of saying nice things behind people’s backs and then note how it makes you feel. Top tip: Studies show that envy, too, can be good for us as it both motivates us to do better and encourages us to be more creative.